I’d like to wish everyone a very happy holiday season! As someone who celebrates Christmas, I enjoy sitting before the lit tree with family members drinking hot cocoa or eggnog. It means so much to be together talking. We spend so much of our lives texting, in front of the computer or running off to our next appointment. We need this quiet time together. There are traditions that each family follow and I’ve enjoyed becoming a part of my husband’s family’s traditions. For example, they buy a large and sturdy tree that allows them to literally put the presents between the branches. The tree becomes the gift. They also have ornaments from almost everywhere they have traveled together. My husband and I liked this tradition so much that we started to do it ourselves. We love to decorate our tree and remember the places we’ve gone, from New York City’s Rockefeller Center to Mackinaw Island. My family opens some presents on Christmas Eve after a large dinner and then the rest before breakfast (but after coffee!) on Christmas morning. Usually there is a fire going and we listen to Italian Christmas records. I always look forward to Christmas breakfast with bagels, lox, cream cheese and eggs. I remember carefully counting out the change from my allowance in order to buy stickers. 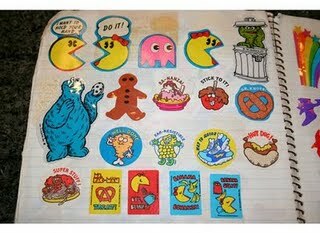 I *loved* collecting stickers. There were the smelly ones, the funny ones, the pretty ones, the doubles you could sock away for later… inexpensive and personal, they were easily for a kid to collect. My Mom Shops reminds us not only of the joys of collecting stickers, but how to put together a contemporary sticker collection book for your favorite kids this holiday season. Brilliant! So, instead of buying an impersonal gift at the Big Box store on the outskirts of your town, make something for the kids that they can continue working on all year. Halloween and Thanksgiving have passed. 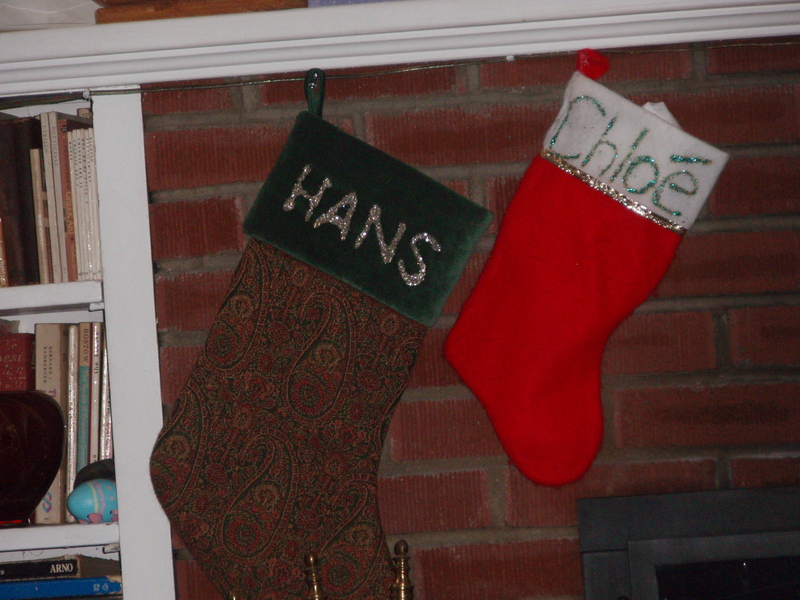 Now it is onto Christmas, Hanukah and New Year’s Eve. Every year, I find it hard to imagine that time truly moves this quickly. There are presents to buy, trips to schedule and meals to plan. Oy! It can make the cheeriest person feel like the Grinch. That said, with a little planning, it doesn’t need to be too difficult. My friend Shasta Grant, an amazing sewer and writer, blogs on The Lovely Nest about making lists and homemade holiday gifts. I hope you’ll spend a few moments on her blog to check out the coat she made for her toddler son and more. I can only imagine my fingers being nimble enough to make something like that!